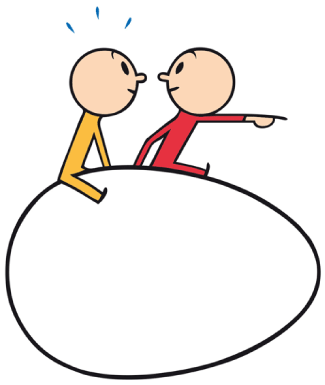 The cultural and professional framework of the Catalan-speaking areas is a constant stimulus for writers, illustrators, designers, translators, publishers, booksellers, teachers, researchers, critics, literary agents, librarians and cultural managers. The strength of this framework has allowed for quality creation, knowledge capital accumulation and innovation, assets that should be shared with other countries. During the fair days, Catalonia and the Balearic Islands will present a wide programme that includes over forty activities and more than eighty participants, both in the fair premises and around the city. The Institut Ramon Llull, the consortium formed by the Govern de la Generalitat de Catalunya, the Govern de les Illes Balears and the Ajuntament de Barcelona is responsible for the promotion of Catalan language and culture abroad, is in charge of the organization and coordination of this programme. The programme has the support of the following institutions and associations: Govern d’Andorra, Generalitat Valenciana, Síndic de l’Alguer, Ajuntament de Vic, Associació d’Agències Literàries, Associació d'Editors en Llengua Catalana, Associació d'Escoles d'Il·lustració de Catalunya, Associació d'Escriptors en Llengua Catalana, Associació Il·lustra, Associació Professional d'Il·lustradors de Catalunya, Biblioteques de l'Ajuntament de Barcelona, Biblioteques de la Generalitat de Catalunya, Consell Català del Llibre Infantil i Juvenil, Corporació Catalana de Mitjans Audiovisuals, Gremi d'Editors de Catalunya, Gremi d'Editors de les Illes Balears, Gremi de Llibreters de Catalunya Institut Català de les Empreses Culturals, Illenc and Institució de les Lletres Catalanes. 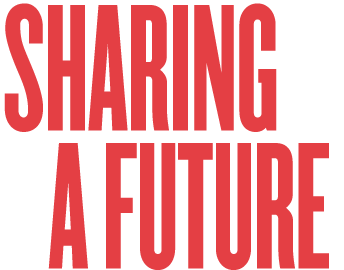 In the central space of the fairground, the exhibition “Sharing a Future” will show the works of 42 illustrators selected by the curator Paula Jarrin. 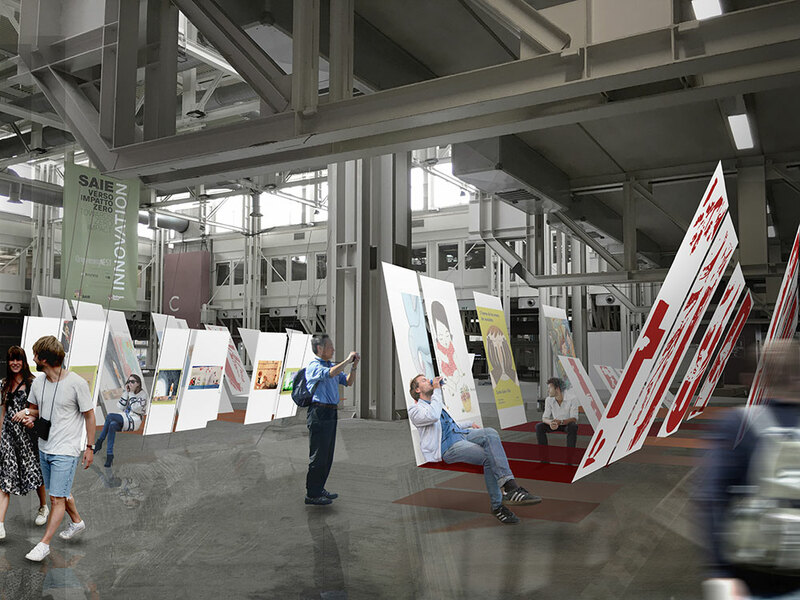 Designed by Clara Solà-Morales, the exhibition has been conceived as a bookshop that is also a place of rest in the middle of the fair. 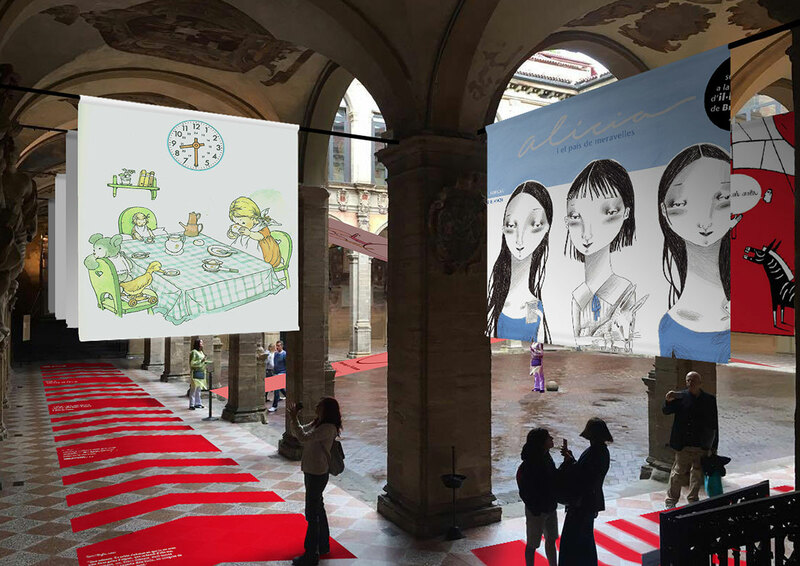 The activities at the Bologna Children’s Book Fair will take place in the four cafés and will feature conversations and presentations by writers, illustrators, translators and by professionals from the digital sector. 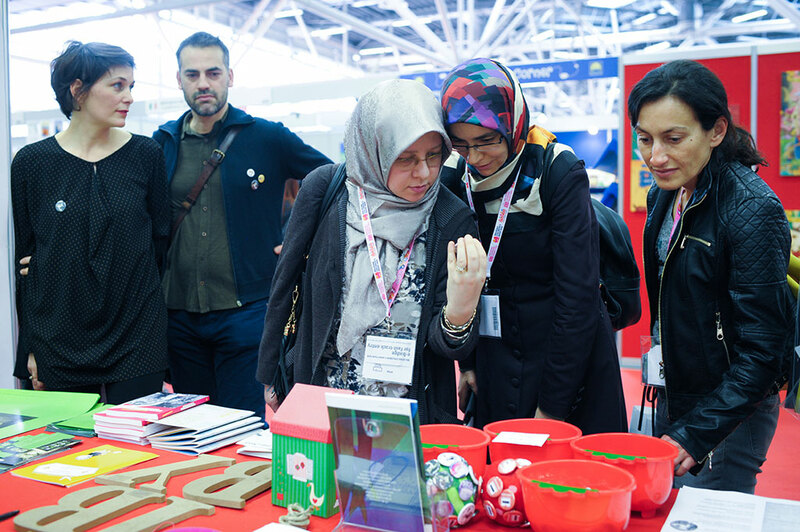 Other activities will be programmed in different areas of the exhibition centre. The Archiginnasio’s cloister is the venue chosen to showcase the works of those illustrators that opened the way to the new generations and that have a well established career. The exhibition has been curated by Paula Jarrin and designed by Clara Solà-Morales. 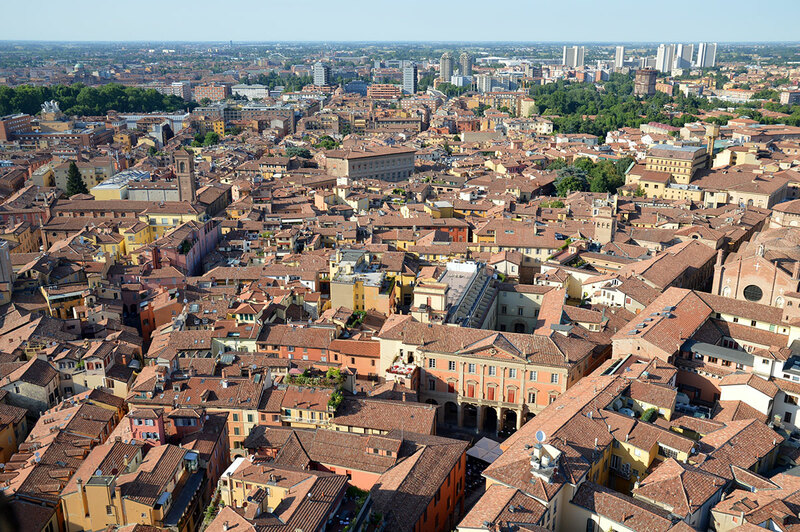 As guest of honour, Catalonia and the Balearic Islands will also be present in different venues in the city of Bologna: the Palazzo Isolani, the Archiginnasio, the Biblioteca Salaborsa, the Teatro La Baracca–Testoni Raggazzi, the Cineteca di Bologna, the University of Bologna and the Palazzo d’Accursio. 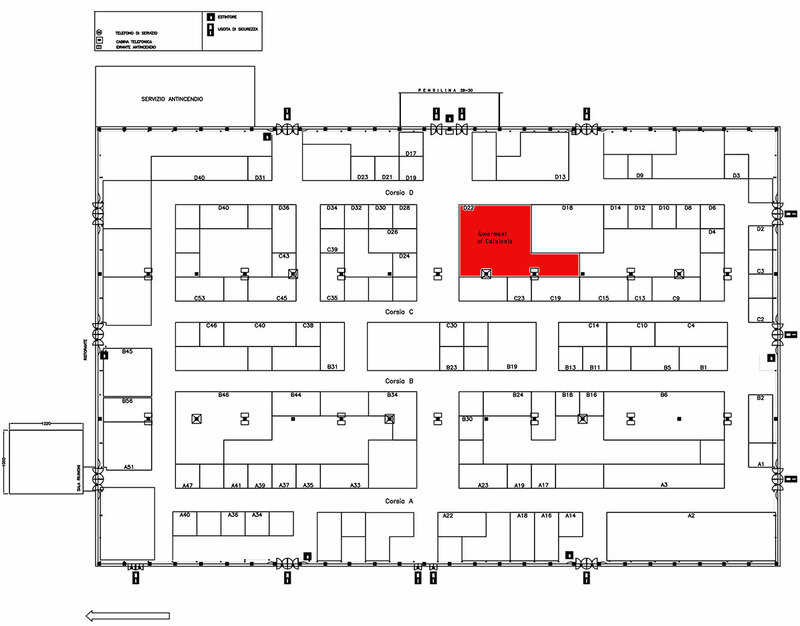 For the very first time, the stand situated in Hall 29, D22, will host publishers and institutions from all the Catalan speaking areas. 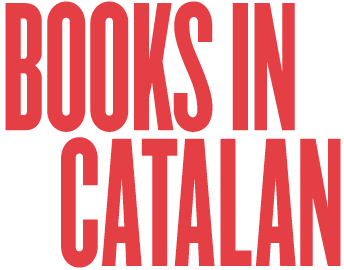 Under the motto “Books in Catalan”, representatives of the three governments (Catalan, Balearic and Valencian) and more than forty publishers from these territories, will work together in a stand of 176 m2.